Moonroof, Heated Leather Seats, Satellite Radio, iPod/MP3 Input, Back-Up Camera, PANORAMA ROOF, HEATED & VENTILATED FRONT SEATS, SADDLE BROWN/BLACK, LEATHER UPHOLSTER... WHEELS: 19 MULTI-SPOKE, Power Liftgate, Full-Time All-Wheel Drive, Turbo Charged. designo® Diamond White Metallic exterior and Saddle Brown/Black interior, AMG® C 43 trim. AND MORE! KEY FEATURES INCLUDE Full-Time All-Wheel Drive, Power Liftgate, Back-Up Camera, Turbocharged, Satellite Radio, iPod/MP3 Input, Onboard Communications System, Remote Engine Start, Dual Zone A/C, WiFi Hotspot, Blind Spot Monitor, Brake Actuated Limited Slip Differential, Smart Device Integration, Hands-Free Liftgate. Rear Spoiler, MP3 Player, Keyless Entry, Remote Trunk Release, Child Safety Locks. OPTION PACKAGES SADDLE BROWN/BLACK, LEATHER UPHOLSTERY, PANORAMA ROOF, WHEELS: 19 MULTI-SPOKE Tires: 225/40R19 Fr & 255/35R19 Rr Run-Flat, High Performance Tires, HEATED & VENTILATED FRONT SEATS. Mercedes-Benz AMG® C 43 with designo® Diamond White Metallic exterior and Saddle Brown/Black interior features a V6 Cylinder Engine with 385 HP at 6100 RPM*. 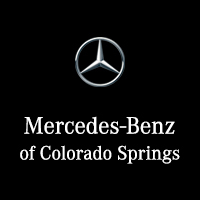 BUY FROM AN AWARD WINNING DEALER Welcome to Mercedes-Benz of Colorado Springs. Thank you for taking a moment to view this vehicle. We are one click away for a live chat, send an email, call or visit in person. Whether you are visiting to gather information, search for a new or pre-owned vehicle, we hope to provide the highest level of assistance. Please feel free to request additional information or set up an appointment. We're here to make your shopping simple. Horsepower calculations based on trim engine configuration. Please confirm the accuracy of the included equipment by calling us prior to purchase. Offer is valid through 2019-04-25.Moonroof, Heated Leather Seats, Satellite Radio, iPod/MP3 Input, Back-Up Camera, PANORAMA ROOF, HEATED & VENTILATED FRONT SEATS, SADDLE BROWN/BLACK, LEATHER UPHOLSTER... WHEELS: 19 MULTI-SPOKE, Power Liftgate, Full-Time All-Wheel Drive, Turbo Charged. designo® Diamond White Metallic exterior and Saddle Brown/Black interior, AMG® C 43 trim. AND MORE!